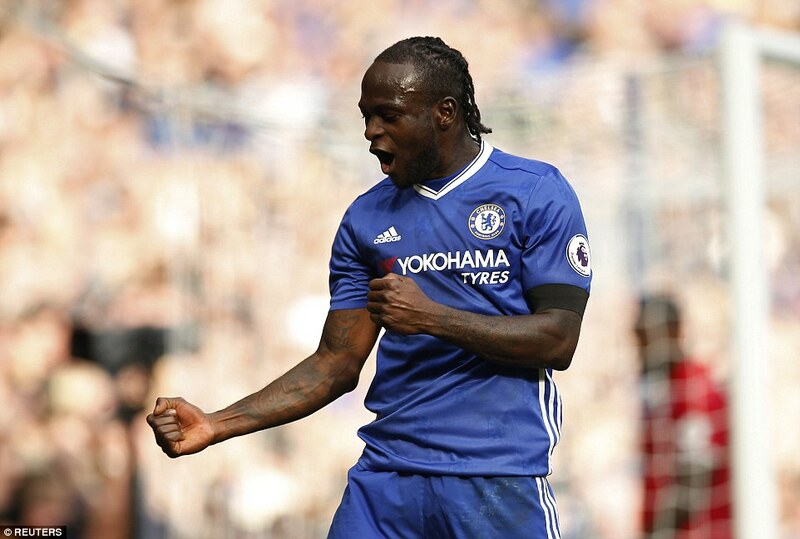 Despite missing Nigeria’s 2-1 victory against Zambia last weekend in a 2018 FIFA World Cup qualifier, Super Eagles winger, Victor Moses was at his best mettle as he scored a goal in Chelsea’s 3-0 win over Leicester City at Stamford Bridge, in Saturday’s Premier League early kickoff. Maintaining his starting position under manager Antonio Conte for the second game in a row, Moses was a nightmare for the Foxes defenders as his pace and dribbles made him a handful to checkmate. Diego Costa continued his fine goal scoring form as he gave the Blues the lead in the seventh minute before Eden Hazard made it a double in the 33rd minute after rounding Leicester goalkeeper Kasper Schmeichel to slot the ball into the net. However, the Nigerian international who was so impressive in the game ensured his team got maximum points with a beautiful Interchange of passes with Nathaniel Challobah who came in as a substitute, to extend their lead to three goals, his second goal in the Premier League this season. Moses was later substituted in the 82nd minute for Ola Aina to a lauding applause from the cheering fans. Meanwhile, Ahmed Musa who enjoyed a first start in the Premier League could not help Leicester City from losing against Chelsea. Musa was substituted in the 67th minute for Islam Slimani who failed to threaten Chelsea’s defence combination of David Luis, Gary Cahill and Cesar Azpilicueta.